Lesson Plan: Paying College Athletes − Should college athletes get paid or be allowed to receive sponsorship money? 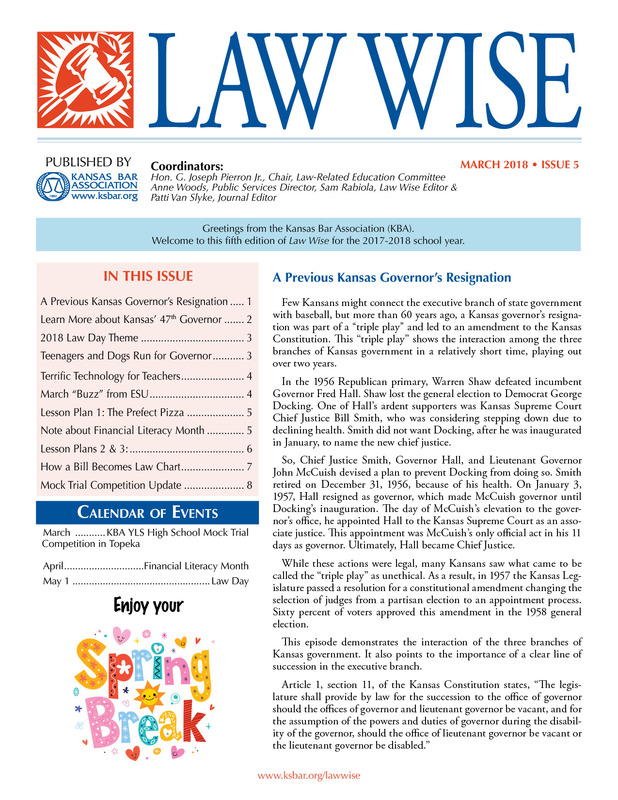 The May issue of Law Wise will highlight the 65th Anniversary of Brown v. Board of Education. 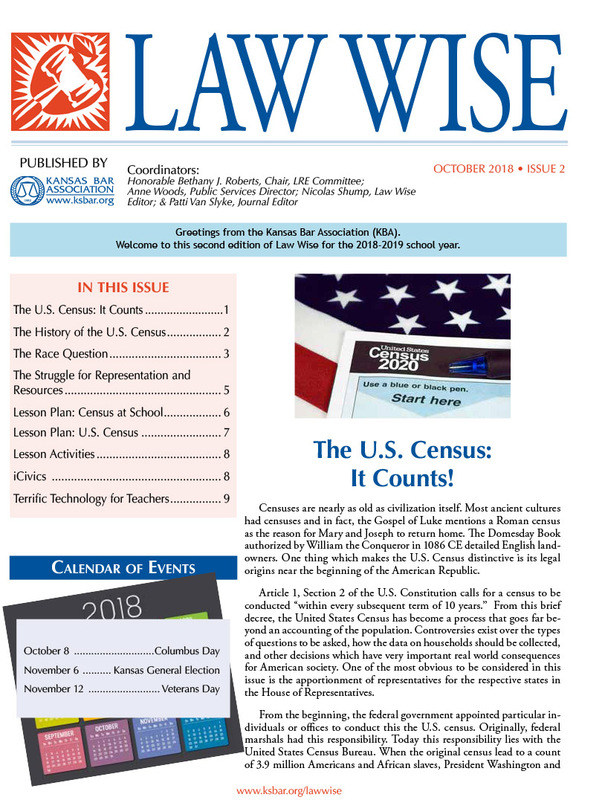 Learn about the U.S. Census 2020 in the October Law Wise. The history and importance of conducting a census every 10 years. How the questions about race have changed over the years. Tax revenue and congressional apportionment issues. A lesson plan for middle school students. A lesson plan for high school students. Enjoy your summer break! 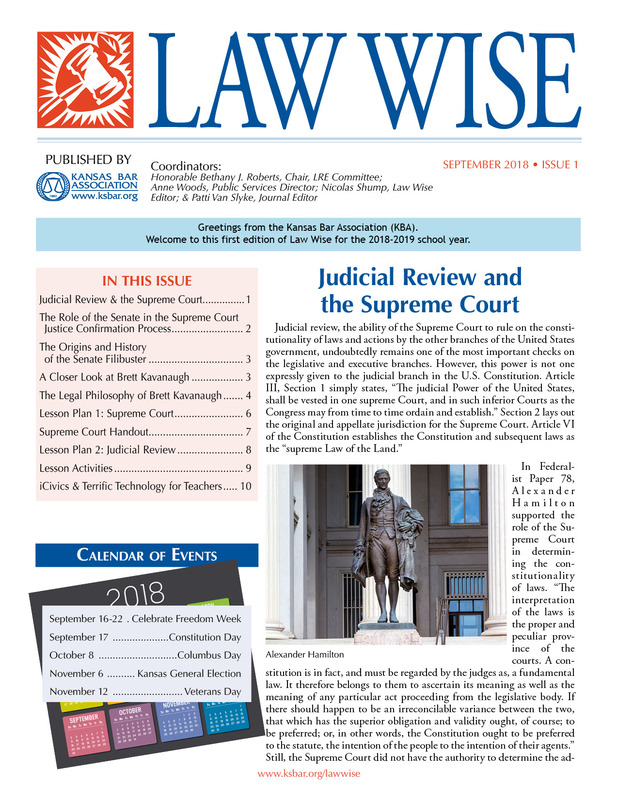 The next issue of Law Wise will be in September. You can find additional resources at https://www.ksbar.org/educator_resources. The final issue of Law Wise for the 2017-18 year will be in April. You can find additional resources at http://www.ksbar.org/educator_resources. 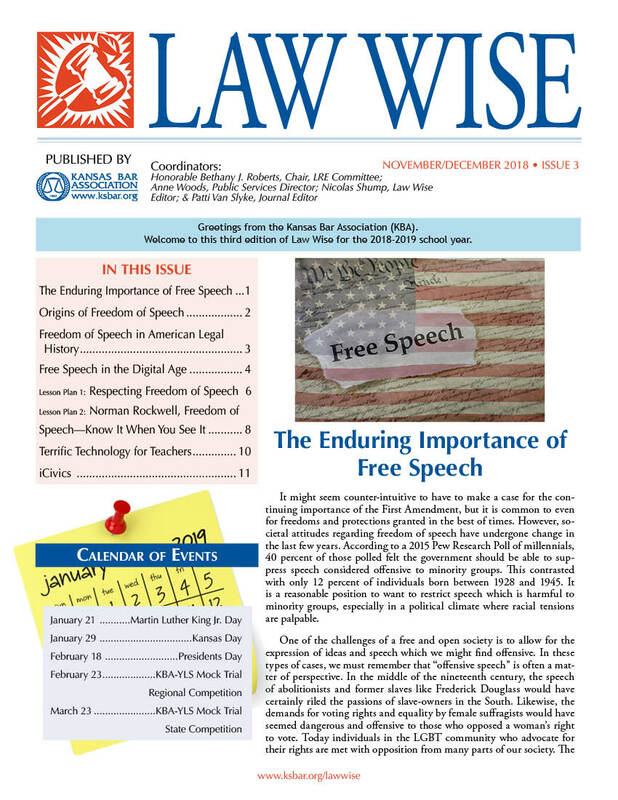 November/December Law Wise is Now Available! Interviews with two Kansas judges that highlight their career aspirations as children, their paths to becoming judges and the unique perspectives of serving as judges in Kansas. Numerous resources in Terrific Technology that highlight how to become a judge, how courts work and the judge’s role in court. A lesson plan on the organization of the Federal Courts and one on understanding the differences between federal and state courts. 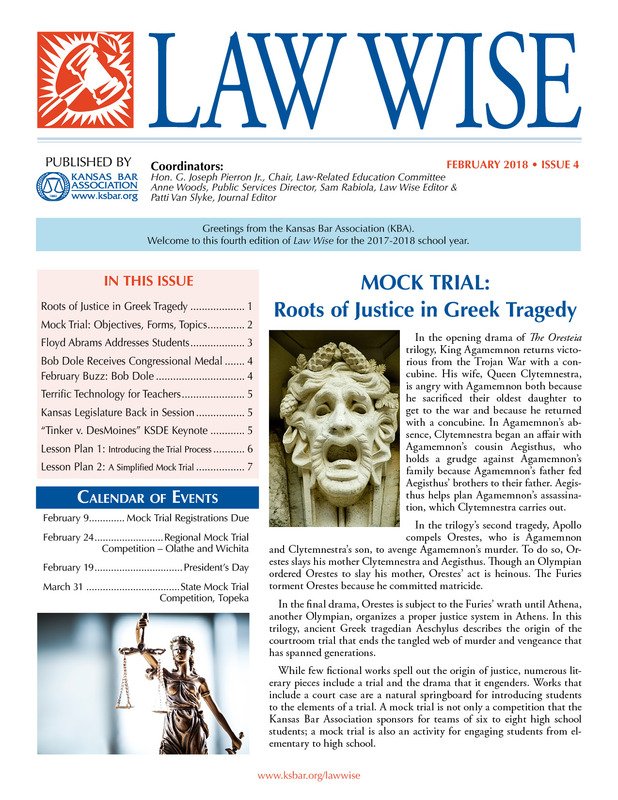 The next issue of Law Wise will be in February 2018. You can find additional resources at http://www.ksbar.org/page/educator_resources. 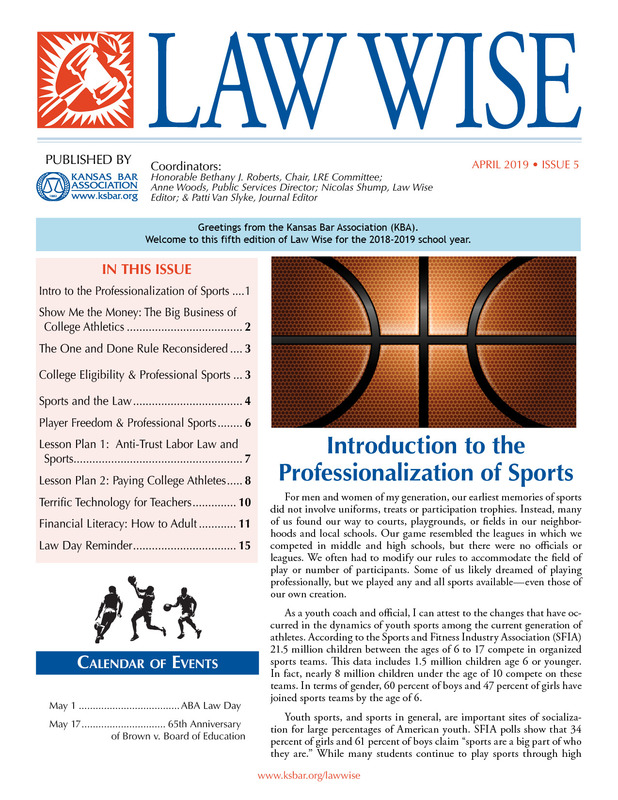 October Law Wise is Now Available! voting age/women and the right to vote. Lesson plans that address students’ freedom of speech & rights guaranteed by the First Amendment. Celebrate Freedom Week (September 17-23, 2017).